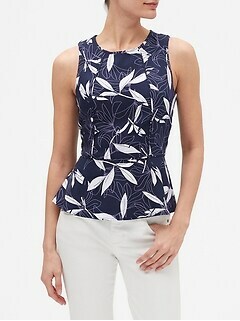 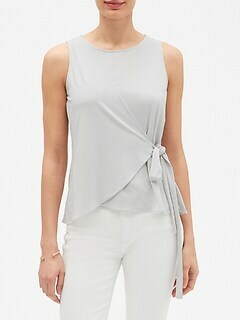 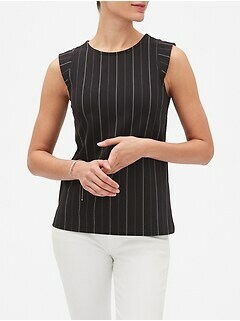 Enjoy effortlessly elegant and versatile style in and out of the office with women's sleeveless tops from Banana Republic Factory. 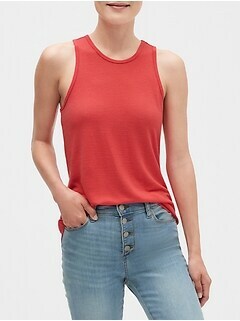 Confident, comfortable, and always stylish, Banana Republic Factory's women's tank tops are the perfect addition to your casual and professional wardrobes. 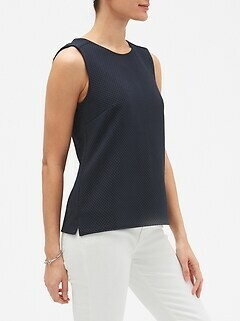 Shop a wide range of sleeveless blouses, tank tops, shirts, and more crafted with attention to detail, quality, and tailored appeal. 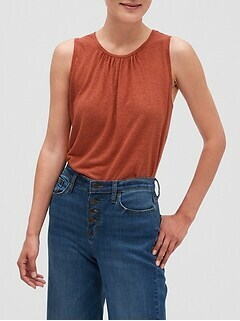 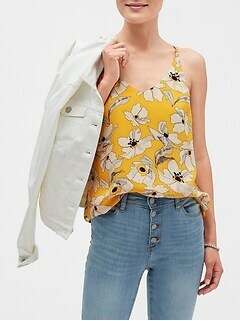 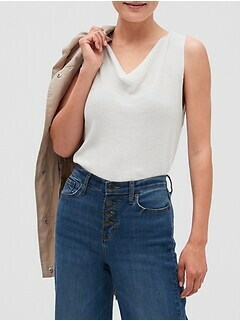 Choose sleeveless shirts perfect for layering under blazers or cardigans, or wearing alone with slacks, skirts, or shorts in a versatile variety of colors, patterns, and designs. 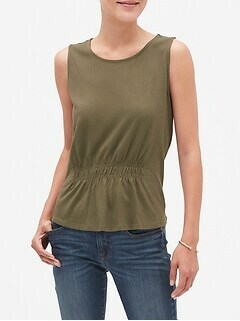 Each top is unique and elegant with luxurious details like lace, ruffles, cut outs, side ties, and more. 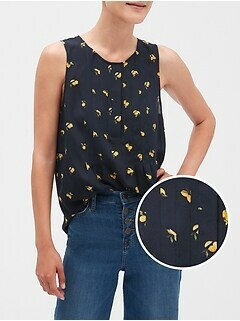 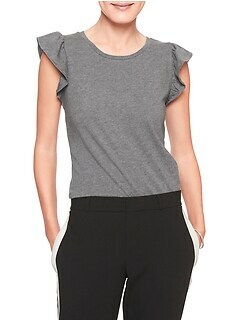 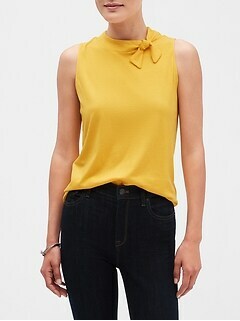 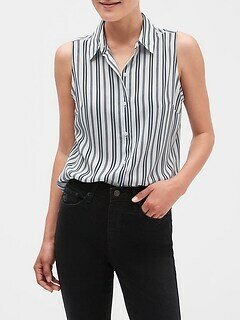 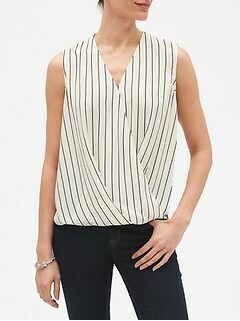 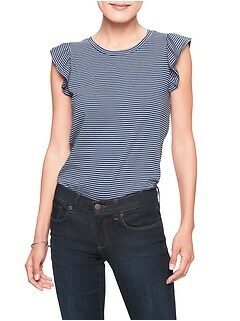 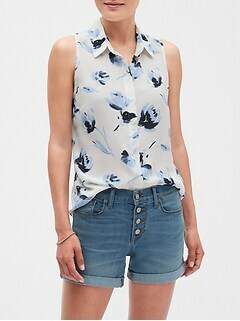 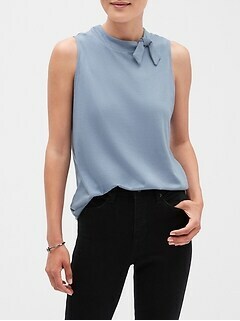 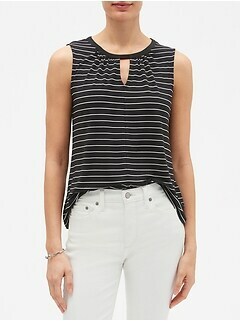 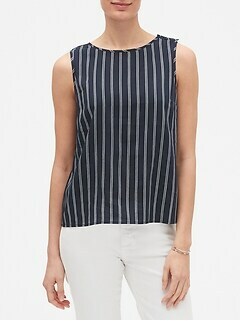 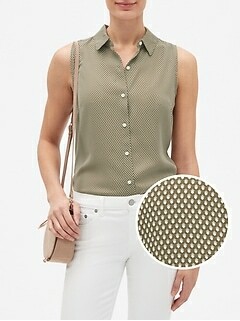 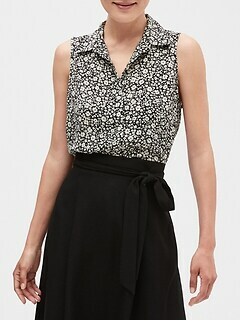 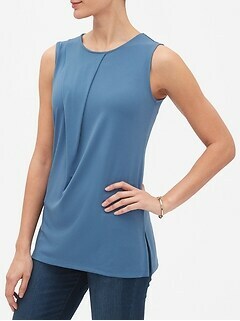 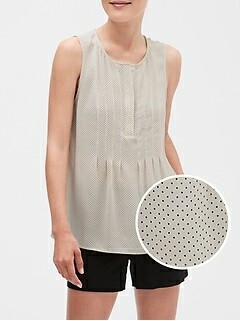 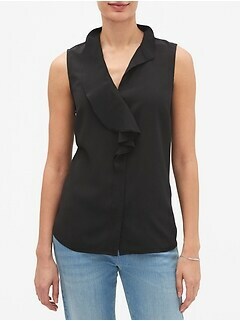 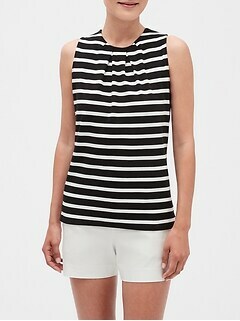 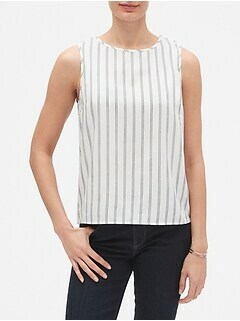 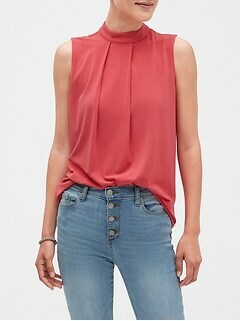 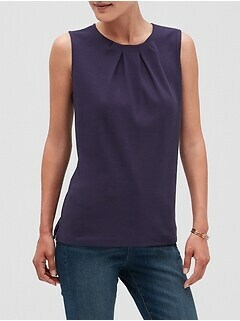 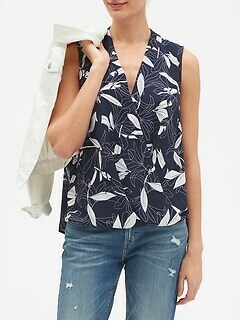 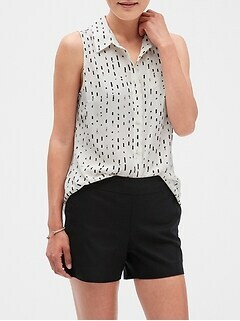 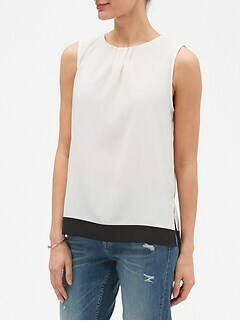 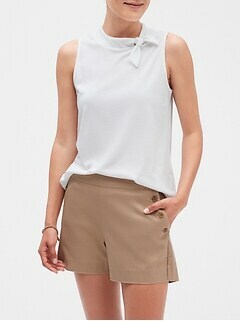 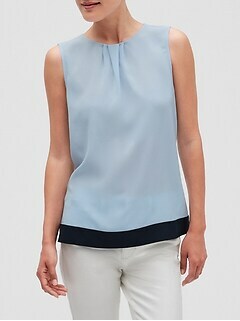 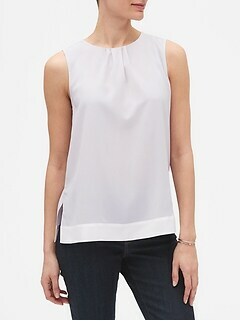 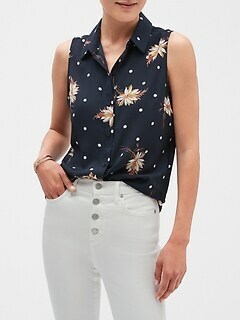 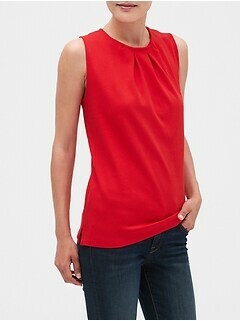 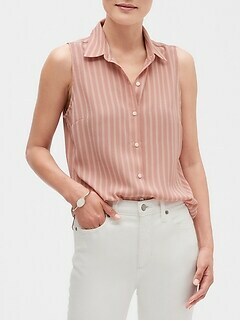 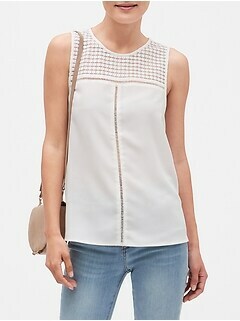 Discover wonderful sleeveless shirts for women at Banana Republic Factory. 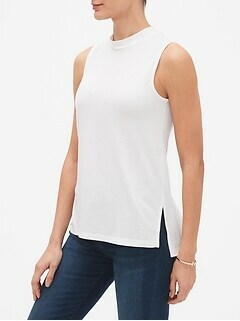 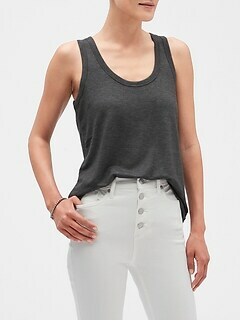 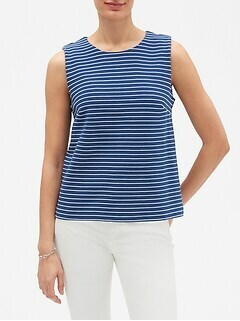 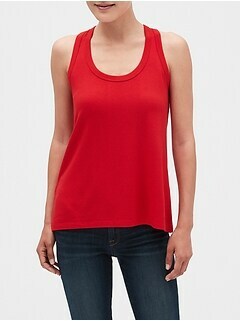 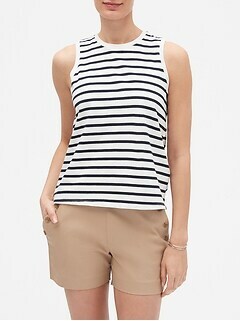 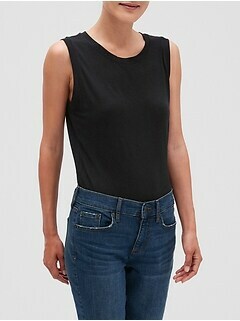 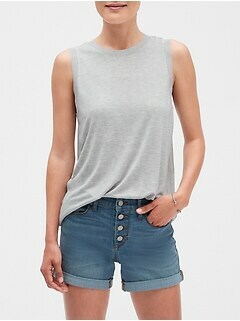 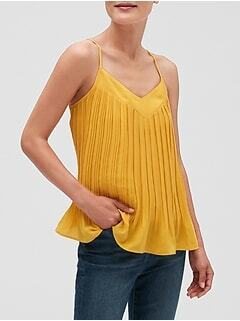 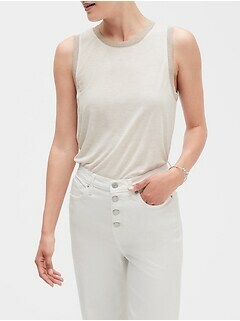 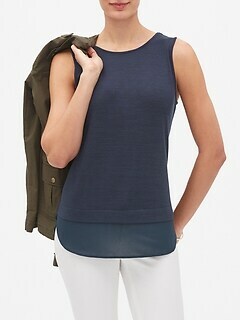 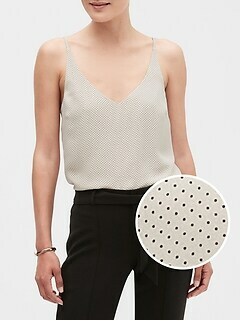 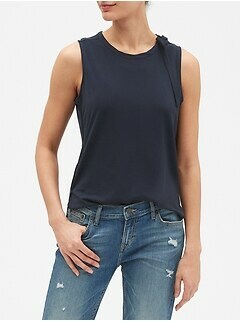 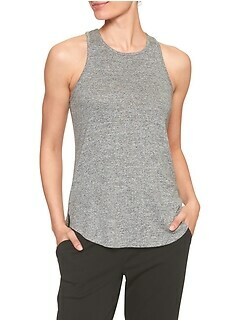 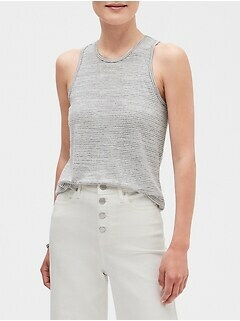 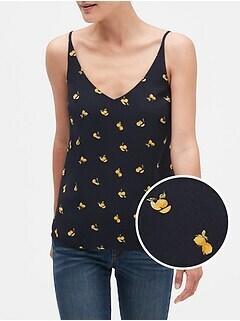 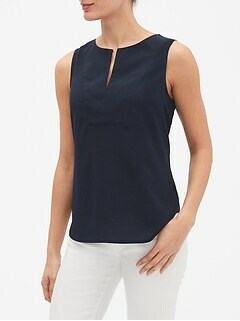 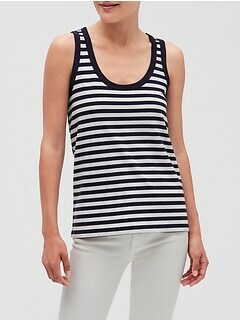 Count on Banana Republic Factory for women's tanks that offer wear after wear of classic appeal. 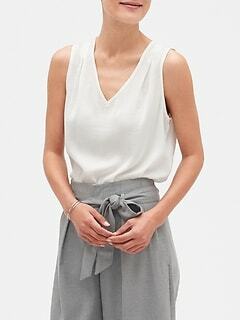 Materials like spandex, cotton, polyester, and more drape beautifully so you can have a polished look even after hours at the office. 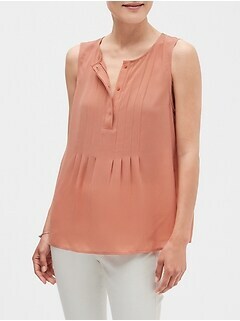 Explore various designs and styes from peplum and pleated to tie waist, ruche, and ruffles for the perfect fit to flatter your shape. 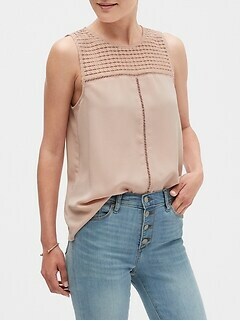 Zippers, clasps, buttons, and ties are well-made for confident enjoyment day after day. 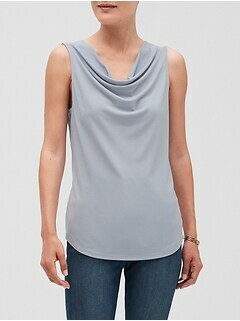 Our sizes range from XS to XL for attainable and tasteful elegance. 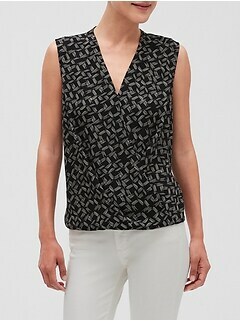 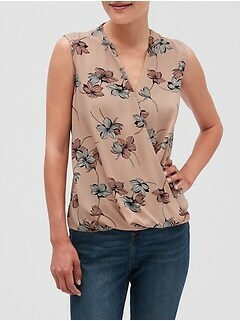 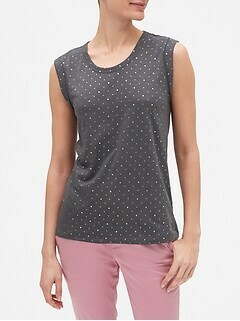 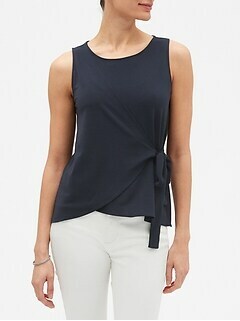 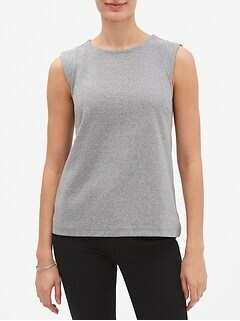 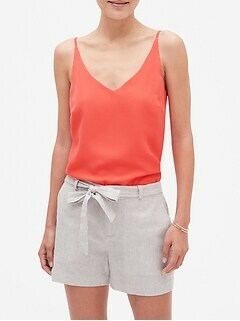 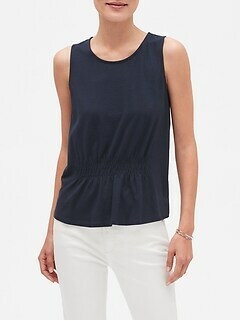 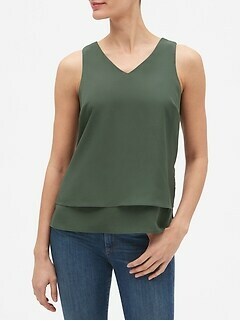 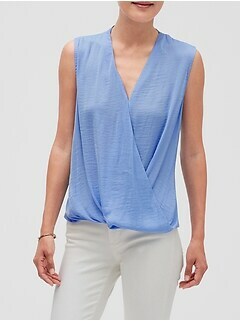 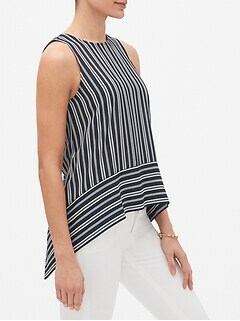 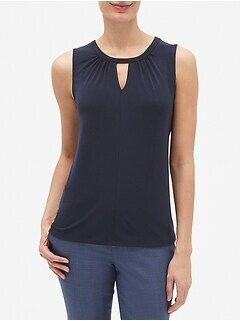 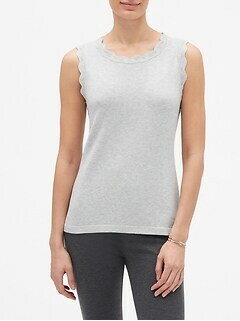 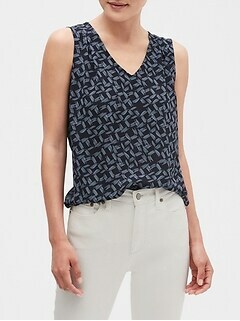 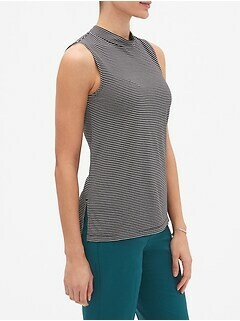 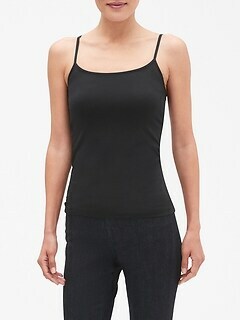 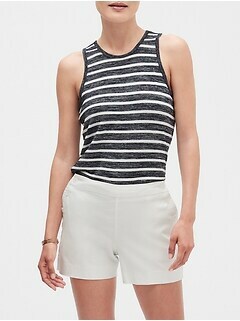 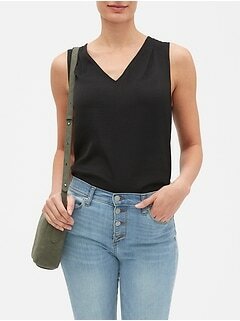 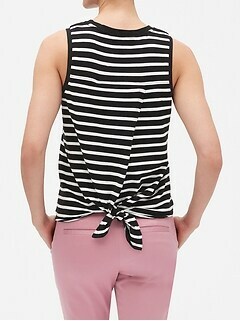 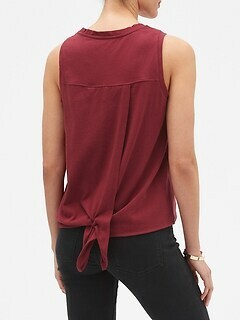 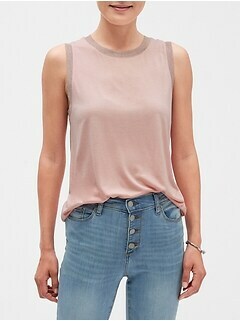 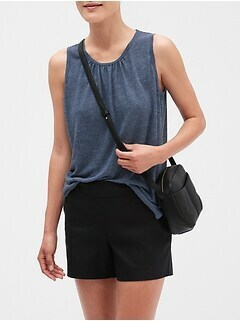 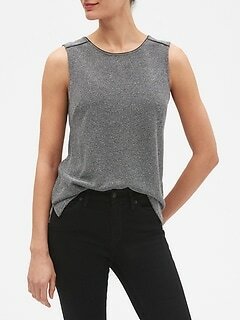 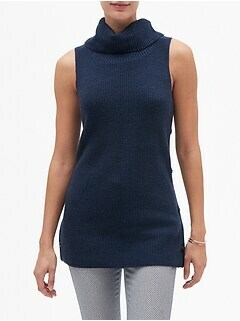 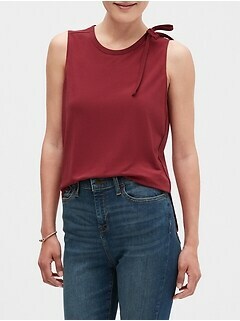 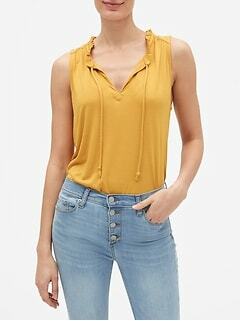 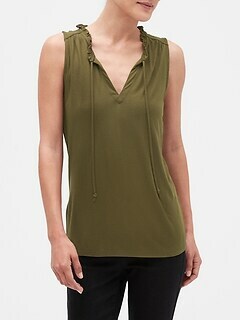 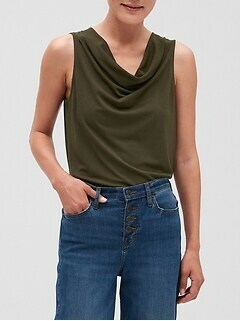 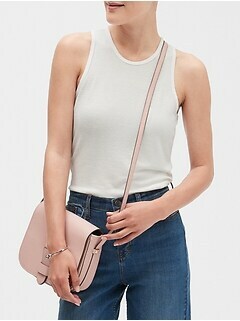 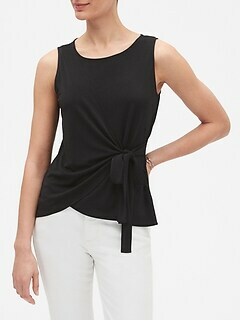 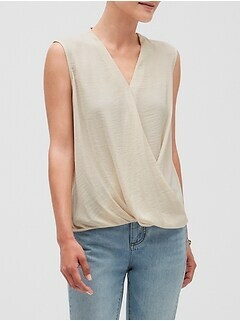 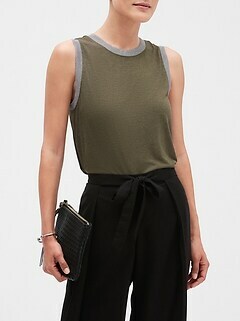 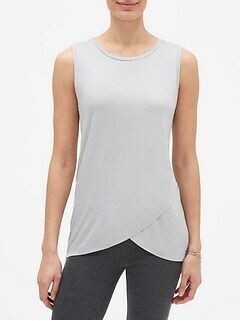 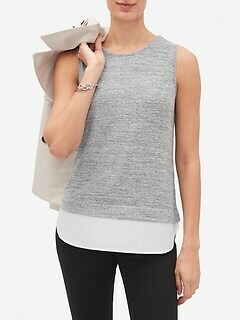 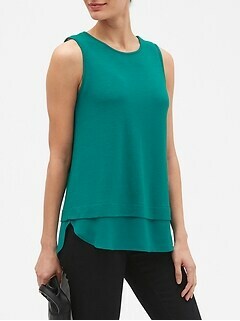 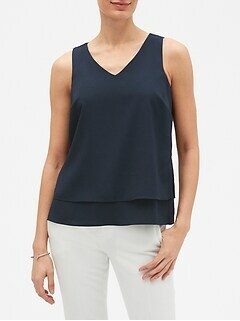 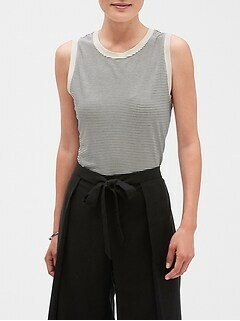 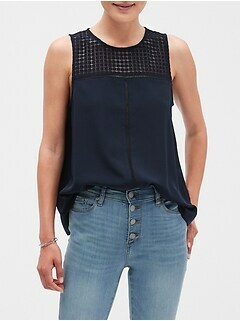 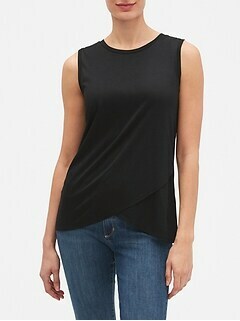 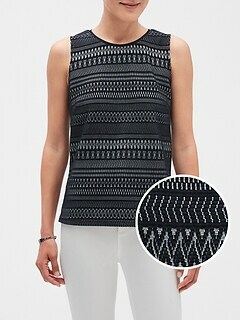 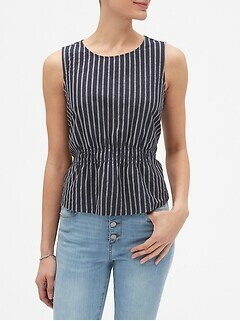 The tank tops for women from Banana Republic Factory are the smart addition to your stylishly subtle closet. 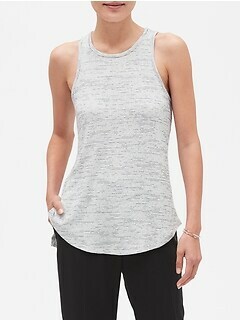 Enjoy our tanks for women both in and out of the office. 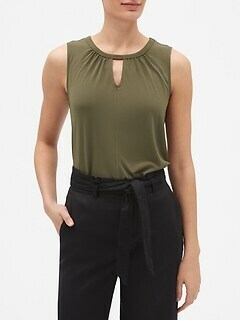 Professional and subtle colors like black, camel, ivory, navy, and more blend seamlessly with other pieces, while vibrant options like magenta, wine, green, and yellow add the perfect pop of color while remaining tasteful. 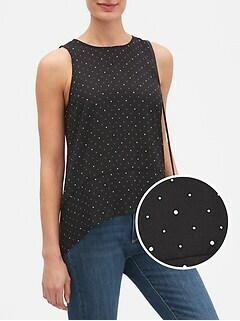 Show off your warm style with various prints or detailing including polka dots, floral, asymmetrical ruffles, and layered crepe. 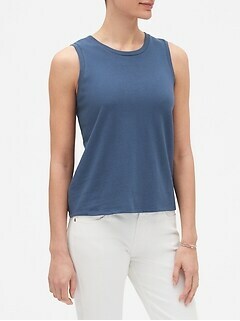 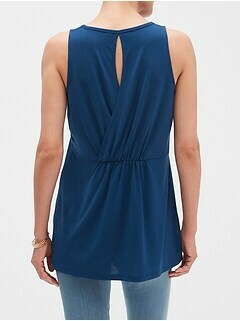 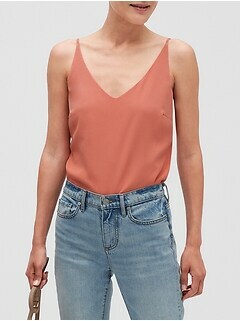 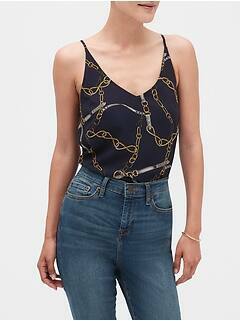 Sleek necklines add even more personality to each chic tank top. 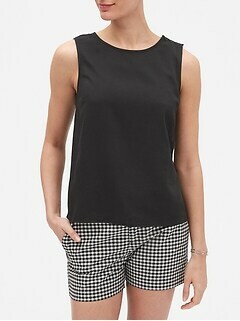 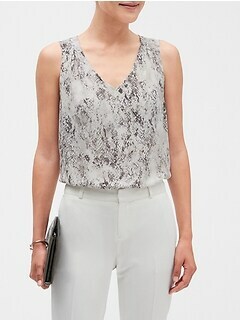 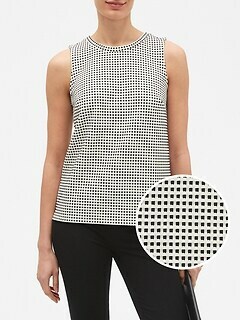 A printed peplum tank flatters your frame with both pencil skirts and cropped slacks. 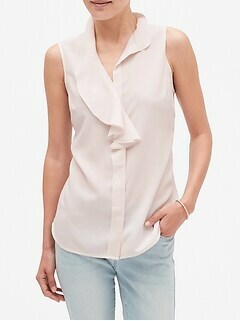 Drape a relaxed, pleated shirt over skinny jeans or shorts for a polished yet approachable vibe. 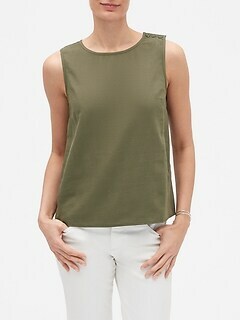 Shop Banana Republic Factory today to add women's sleeveless shirts, tanks, and more to your tasteful wardrobe.